A loan of $1,300 helped to buy surgical equipment. Roxana is 28 years old and graduated medical school last year. Her parents supported her but thanks to her grades she received a foreign scholarship and was able to complete her professional education. 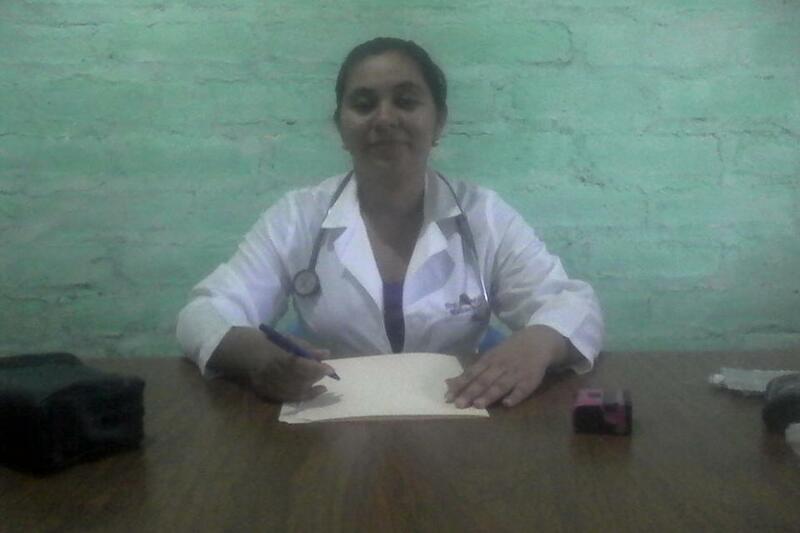 Roxana is a doctor and has her own clinic where she sees low income patients who are unable to pay. Roxana needs this loan to buy equipment to do minor surgeries because her practice is becoming better known and she needs the equipment so she can provide better treatment. Roxana wants to have a larger clinic so she can better treat her patients and provide them more personal attention at lower cost. Roxana, de 28 años de edad, hace un año termino sus estudios y se graduó como doctora, sus padres la apoyaron pero gracias a su rendimiento académico obtuvo una beca en el extranjero y a si logro terminar su carrera profesional. Roxana, es doctora y tiene su propio consultorio, donde atiende a personas de escasos recursos para brindarles atención a las personas que no pueden pagar una consulta. Roxana, necesita el préstamo para comprar equipo de herramientas para practicar pequeñas cirugías, porque su consultorio está teniendo prestigio por su atención y necesita de equipo para brindar una mejor atención. Roxana, sueña con tener un consultorio más amplio para atender mejor a sus pacientes y darles una atención personalizada y a costos más bajos. It enables single mothers to start their own business. This loan is designed for rural women in El Salvador. Loan amounts are much smaller than average and the field partner is not requiring any guarantee for this type of loan. The goal is to support businesses that will enable women to work from their homes or start flexible businesses, as many of them live in rural areas and don´t have access to funding. Women who receive this type of loan also receive training on entrepreneurship, business management and budgeting. This loan is administered by CrediCampo, a Kiva Field Partner in El Salvador. CrediCampo seeks to improve the lives of rural communities and their families in areas including health, education, basic services, and infrastructure. Through its Community Development Unit, CrediCampo provides scholarships, leadership development training, and financial education programs for families in rural areas. CrediCampo’s work is crucial in addressing the issue of poverty in El Salvador. Based on 2009 estimates, 37.8% of the population lives below the poverty line. To learn more about CrediCampo and their work, visit their partner page. Credicampo began in 1995 as a part of a social reinsertion project launched after the end of the brutal 12-year Salvadoran civil war. Credicampo is interested in using Kiva funding primarily for subsistence agriculture loans. The added savings resulting from Kiva's 0% interest funding would be invested to further develop the "UNDESCO," an innovative program that aims to work directly with communities to provide technical assistance, training and capacity building, improve health, education and access to basic services and infrastructure, and drive the development of projects that strengthen the local economy. UNDESCO also includes a loan officer training school and a value chain pilot project that is currently being developed with local producers' associations.